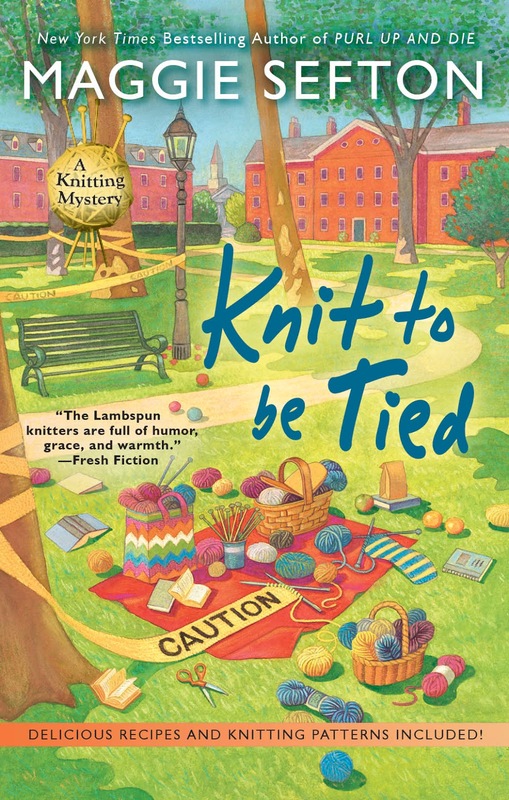 Yes, it's release day for KNIT TO BE TIED, the 14th in the Kelly Flynn mysteries. The book should be on the bookstore shelves now. Kelly Flynn and her friends at the Lambspun knitting shop in Fort Connor, Colorado are welcoming a new face into the fold. Shy, sweet, and pregnant Nancy Marsted would like to knit a baby hat, and the Lambspun knitters are more than happy to show her the ropes. They soon learn the father of Nancy’s baby isn’t quite the man she dreamed he was. Far from it. Then one dark night a speeding car fatally mows down the dad-to-be and strikes a cyclist, who’s a friend of Kelly’s. There are no clues to the driver’s identity. Everyone worries that a crazed killer is on the loose. Now it’s up to Kelly to try to discover who the culprit is before he’s driven to kill again.